If you have more than one cat in your home, then you already know that they will likely pollute the litter box pretty quickly. 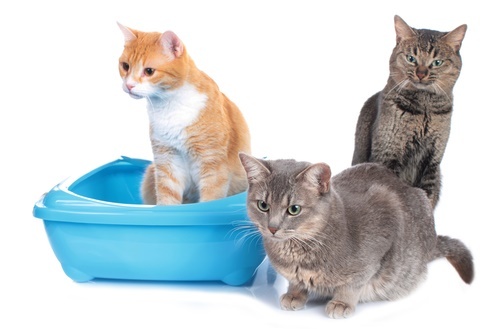 As good as your litter box may be, having multiple cats use a single litter box can mean that you need to change it out more often, but you can keep that replacement schedule to about once a week if you use the right multiple-cat litter product. There are a number of decent cat litter products that are designed for more than one cat being in the home, and we want to point out a few of them here for you. 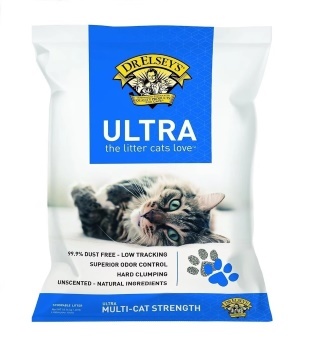 These are the very best litter products for households where there are multiple cats. The name may seem presumptuous, but the product does kind of live up to the moniker. This is a mostly dust free cat litter, and it is designed to handle more than just one cat in the household while still keeping odors at bay. It’s a potent litter that is better than most at eliminating and preventing odors, and all that power comes with a price. You will pay far more for this than you will for anything else on this list. World’s Best Cat Litter is recommend as one of our top picks for overall best cat litter products. 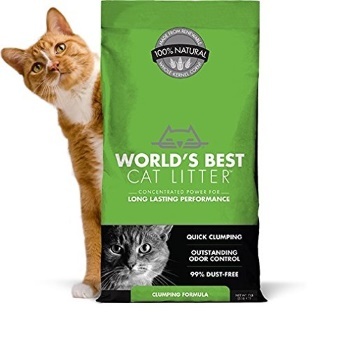 This big box of litter comes at a reasonable price, and it works very well, giving you a high-value package that is going to last you for a long time, even with several cats in your home. As potent as this litter is, it’s still a good idea to stick to PetFinder.com’s rules for cleaning the litter box and change it out once or twice a week. It’s also a good idea to scoop out cat feces as soon as you notice it to cut down on bad smells. The urine your cats leave in this Arm & Hammer litter should be absorbed quickly while odors are being eliminated. The only real downside to this particular cat litter is that it has a strong lemon smell that may not bother most people and their felines, but it can definitely be a bit strong for others. This one is ideal for picky cats. 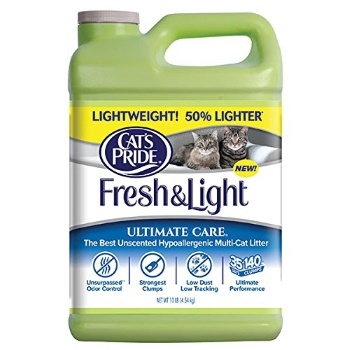 Because it is unscented, the cats should not shy away from it due to a strong fragrance that you’ll find in most other natural cat litter products. It’s also hypoallergenic, so those cats with allergies and sensitivities should be safe and comfortable while using it. On top of that, it manages to prevent and kill odors quickly, providing instant protection against bad smells and keeping your litter box smelling nice for a long time. On the downside, there can be quite a bit of tracking with this product, and it can take a lot of work to keep the litter box area clean. 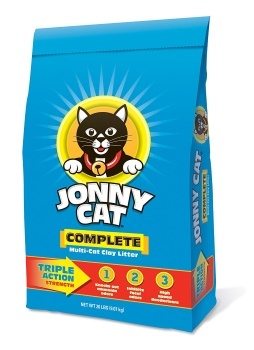 Jonny Cat litter is pretty potent stuff. It can handle multiple cats without a problem, and it sells for far cheaper than most of the products on this list. The only problem with it is that it tracks everywhere, and you are going to be cleaning this stuff up a lot, so make sure you know your cat’s tracking habits before you buy too much of this litter. Some cats will not leave dusty footprints everywhere when using this litter and others will make a huge mess throughout the day, so knowing what your cat does with their litter box is key to picking the right litter. 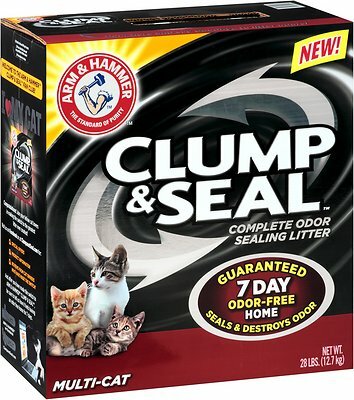 This clumping litter helps you easily manage multiple cats. As the litter clumps, it becomes very simple just scoop out the used litter, which means that your multiple cats will have a hard time using up all the litter if it is changed out regularly. Even if you do take a while to get to the litter box to scoop out what is used, you can count on Dr. Elsey’s long-lasting odor protection. It safeguards your home against lingering scents for as long as a week, which is about par for these kinds of products. This litter is made from natural products, which makes it safe for cats and good for the environment. It is also made to be just about as dust free as cat litter can get. Compared to some of the other litter products on this list, it gives you you a lot less cleaning up to do. The clumping action basically eliminates dust, and this is ideal for people who have a number of messy cats in their household. You may need multiple boxes- It may be a good idea to buy enough cat litter to keep a couple litter boxes full. If you have multiple cats, then they may be territorial and not let some of the cats use the same litter box they like to use. According to TheNest.com, having multiple boxes can cut down on a lot of fighting between your cats. Pick something that your cat will be okay with- Some cats are very picky about the kind of litter they get, whether it is clumping or non-clumping or whether it is scented or not. You may have to perform some trial and error to find out what your cat prefers. Know your cat’s allergies- Some cats will be allergic to the ingredients in certain cat litter products, so make sure you check ahead of time for what your cat has a sensitivity to. You may not find out until you put the litter into the box, and if your cat does have a reaction, you need to change out that litter fast. We have put this list together for your benefit, and we certainly hope that one of these cat litter products does the trick and keeps your multiple-cat household smelling great. Be sure to look closely at the advantages and disadvantages of what we have covered to find a cat litter that will be perfect for your home.